This kit has been designed to make (9) 8 oz jars of lotion. If you are making this product for sale, we recommend pricing at $9.95 per bottle. You Save $28.00 by purchasing this kit rather than buying the items separately. COMMENTS: This is by far the best scented cream ever. Everyone loves it. I had been wanting to try the cashmere and pear FO, and having a kit made a good decision. I think this is going to make a great winter cream, and I plan to add the FO to other lotions and candles to. So sweet and mellow, loved by everyone so far. 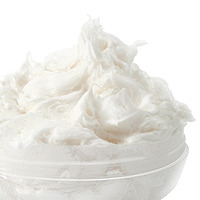 Plan on making a lot more..
• Everything, espically on sale..
" Cashmere and Pear Body Whip Lotion Making Kit"
COMMENTS: This kit is great, just make sure you watch the video first then follow the directions that come with the kit. I found out there was a video after I made a mistake. I will purchase this kit again. it absorbs fast on he skin and smells wonderful. COMMENTS: Light and refreshing. Very happy with this scent. Great way to lighten up the long winter days. COMMENTS: If you are worried, scared and anxious about creams. Stop now because the instructions are so perfectly written that if you read them but once before starting the recipe you will feel immediately confident. Reads easily and follows as simply as read. Had much fun making this Whip and what to say of the outcome. Amazing smell, Great feel light fluffy texture!! Soft on the skin and. On my little ones skin just great!! All around great recipe with a great choice of scent. COMMENTS: This was my first attempt at making any type of lotion and I was terrified. The directions were easy to follow and I must admit, it took some patience on my behalf, but the product turned out WONDERFUL!Initially I thought I had messed up because it didn't look like the photo but after about 2 1/2 to 3 hours it fluffed up perfectly. COMMENTS: Everyone loves the texture of this cream. I used a different scent and it's a hit. 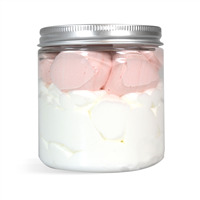 Want to experiment with different scents and also put in smaller jars since a little of this goes a long way and two large jars are not very profitable. "Good as a lotion, not so much a whip"
COMMENTS: I've been making mostly M&P soaps and have always been more than pleased with the products from Wholesale Supplies Plus, until now. I checked all the ingredients, I watched the video, I measured everything on a digital scale and I followed the directions to the letter, mixing with an electric mixer for a full 20+ minutes and all I got was a bowl full of extremely watery lotion... it was the consistency of half & half. I watched the video again, making sure I didn't miss something and it said to let it cool... so I left if for about 6 hours and it finally solidified into a lotion. Not a body whip, just a lotion. As a lotion this is great! It feels great on the skin and smells wonderful, but a bit of a let down because I was expecting something different. COMMENTS: I love this product. Very easy to use, works great and fragrance is amazing. I am making this in two other fragrances to add to Christmas baskets. 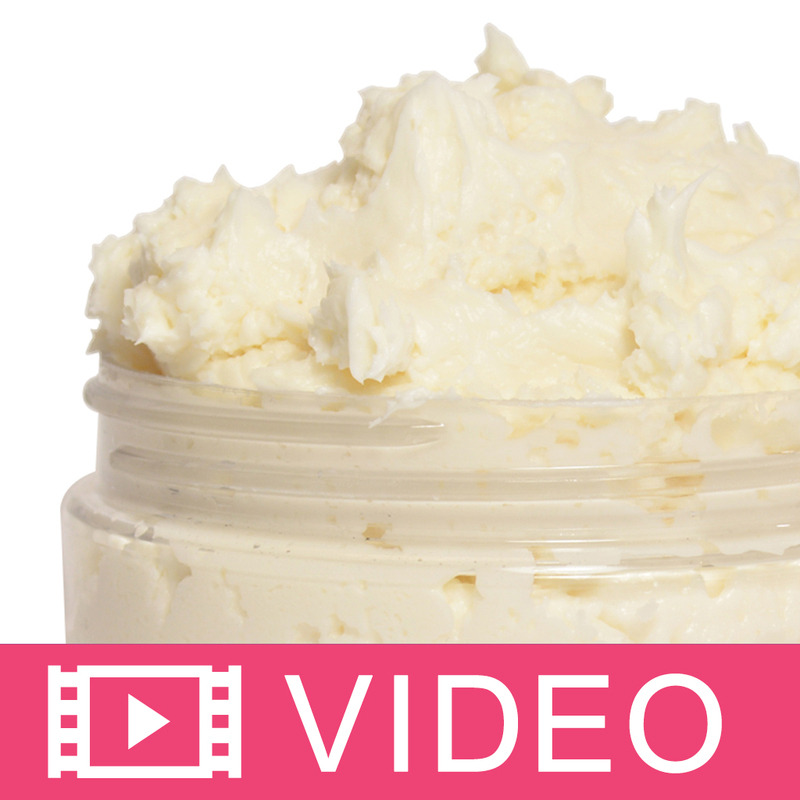 "What is the average shelf life for this and your other body butters that contain water and e wax? Thanks "
Staff Answer Average shelf life for any product made is one year from production date. "Is this recipe Paraben Free ??? How can we make it Parben Free. Thank you so much !!" 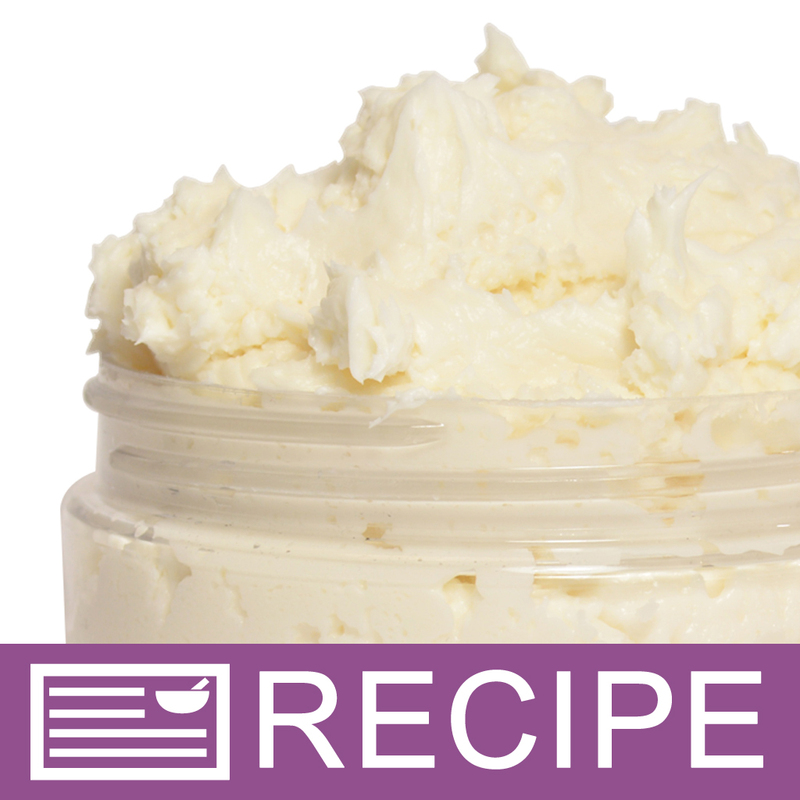 Staff Answer The preservative used in this recipe does not contain parabens. "Hello! 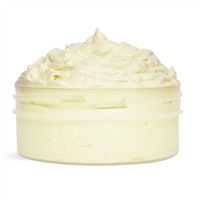 First, can you halve this recipe so not to make so many lotions? Next, how much Vanilla Stabilizer would you use for this recipe? Thank you ?? " Staff Answer Yes, you can halve this recipe but just be sure your measurements are accurate when weighing them. We have added the stabilizer to this recipe since it should be included. We have also updated the directions to make it easier to make. "After sitting for about a month I noticed the lotion started to turn pink about half way down the jar. What would cause this? " Staff Answer The Cashmere & Pear Fragrance Oil does contain 3.5% vanilla which could be what is changing the color. You may want to add the Vanilla Color Stabilizer for Lotion and Washes to prevent this from happening. "your suggestion for pricing on this product is confusing (low) - based on your own suggestions you say cost x 4 --- the cost of this X your suggested price would yield only a $20 profit. Wouldn't a retail close to $31 (vs. $9.99) be more accurate (or at least double your cost?) Is this an error and how much do you like it could retail for? " Staff Answer Our recommend retail price is solely based on current market pricing for similar items. Also, when purchasing a kit you often receive more materials than are used in the recipe including tools in many cases. We have found that retail pricing can vary greatly depending on the market, location and average pricing for your location. Therefore we feel that it is more beneficial for our customer to set their own retail pricing. "I would prefer not to use the stearic acid in this kit, so what could I use instead? " 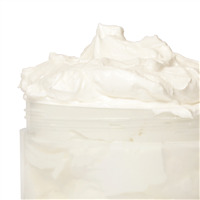 Staff Answer You can eliminate the stearic acid and increase the emulsifying wax. 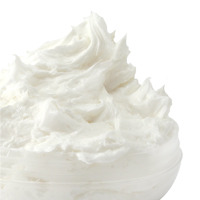 Be aware that a substitution such as this will change the over all texture of your finished cream. We recommend testing all substitutions in a small batch before making a larger batch for retail. You alone are responsible for product and recipe testing to ensure compatibility and safety. If selling, you would need to change the INCI ingredient listing to reflect any substitutions or changes to our original recipe.